Ed note: You asked me for help with sourcing profitable, replenishable products for your Amazon business. 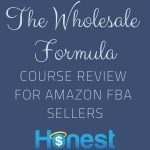 Below is my review of the The Wholesale Formula for Amazon Sellers. Note: the video review is from July 2016. 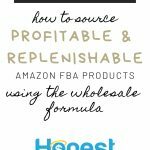 Since then, The Wholesale Formula has improved even more, with incredible value. 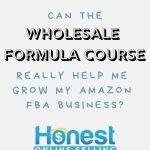 You're here because you're wondering "should I get The Wholesale Formula to grow my Amazon business?" or take it to the next level. 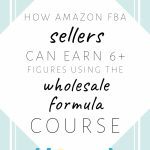 The Wholesale Formula is serious stuff. It's for Amazon sellers who need a step-by-step plan for true growth. 2.) Remember, the price is a relative bargain. My Boston University MBA cost me over $35,000 in 1998 (that's probably $50,000+ today). I've expressed it publicly many times over – the MBA was, for me and many others, virtually worthless because nothing in it prepared me for the real world of making real income on my own. An MBA (for the most part) is theory and quickly outdated when 'real business world' hits. But programs like this one are real. They're actionable. 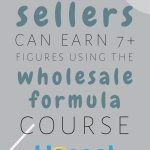 And many sellers just like you are earning real 5- and 6- and 7-digit revenues when they follow the formula. You're noticing I'm not calling this a 'course.' By calling it a 'course' I'm lumping it in with some of the "same old" out there. It truly is a formula. When people (in business or life) follow a formula, they tend to dramatically increase their chances for success. The two founders Dan and Eric are not 2 guys that dropped out of the sky to suddenly announce they're experts in wholesale and amazon. No, they've painstakingly documented every step to their own multi-million dollar Wholesale business and provided it to you in the Wholesale Formula. 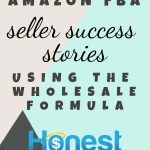 If you want to know more about what's inside The Wholesale Formula, see this post. "My Amazon sales are in a rut." "I want to source more, more profitably, with less work." Check out my video review and my other analysis, and let me know what you think. How does it work for persons living in Canada.? Or not? 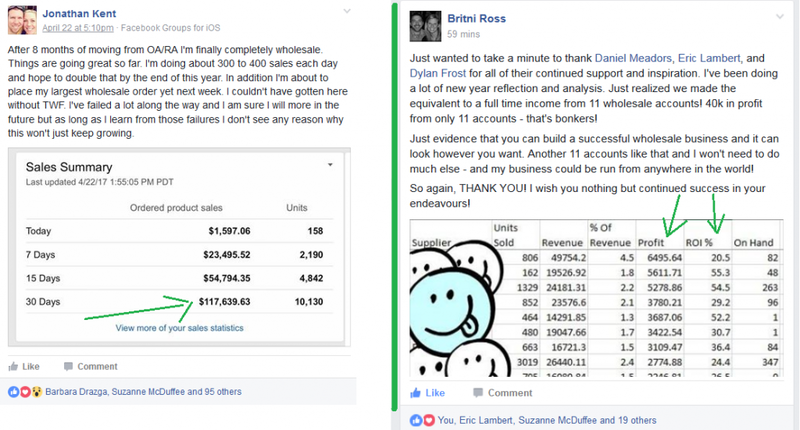 Hi Alysha – yes The Wholesale Formula can work for virtually anyone from any country, although they (The Wholesale Formula) do not provide country-specific support. I am looking to sign up for this and not sure how to do that. Also, are the books you offered a few years ago, still included if I sign up now? Will this program be available on Jan, 2019 ? Please let me know what is the first date that this course will be opened. Update – I found a popup after clicking through to TWF that allowed me to enroll with your special offer. Hopefully you can track all that. Sorry for the delay on this (some of the comments ended up being marked as Spam). If you encounter any problems/concerns let me know. I found out about TWF through your blog, so I would like to enroll via a link from you. However the TWF3 stated in the video doesn’t seem to work. What’s the process to access your special offer and give you credit for the sale? 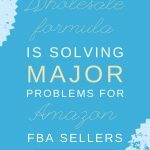 Is the TWF course relevant for sellers looking to sell on Amazon in the UK (.co.uk) or is it aimed at the US (.com) market only? Hi Jordan, is your offer (bonuses) in this video still current for this upcoming TWF course? I’m seriously considering signing up and if I’m getting the same TWF course through you, but also getting the bonus materials, it’d make sense to utilize your offer. Have you personally taken this course (TWF) and if so, how has it impacted your business? If you have answered this somewhere else and I’ve missed it, please direct me to where you talk about it. Thanks! Can you tell me how much time I would have to devote to this course/ formula for it to work? Hi Elaine, that answer will vary of course with each person’s level of experience. A brand new newbie can reasonably accomplish a WHOLE lot spending 1 to 2 hours a day (or 5 to 10 hours per week), as long as they follow the formula. 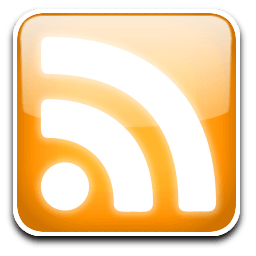 The good thing is any student/enrollee can access any/all of the content anytime. Whatever is presented live is recorded for replay anytime, and NONE of the content is ‘drip fed’. So you can work at whatever pace you like. Good luck! I am a Jim Cockrum Coaching student and have recently started with them. I want you honest opinion please. I am thinking of “The Wholesale Formula” by Dan & Eric. 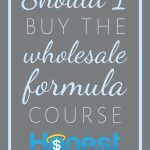 If we compare it with Jim Cockrum Coaching, do you think it’s Ok for me to pass on this opportunity or do you believe “The Wholesale Formula” is Completely Unmatched. Again, I am really looking for an straightforward answer please as it ll help me in making a better decision. Will look forward to hear back. Hi James. Jim Cockrum’s Coaching should have the expertise and advice to help you start sourcing wholesale products and selling them successfully. As long as you take action, you will be fine with what you’ve already purchased. 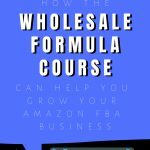 Also remember where The Wholesale Formula has 4 live sections (as a group) to field/answer questions, the (Wholesale Formula) do not provide one-on-one that the (more expensive) Jim Cockrum coaching provides. I wanted to thank you for the fantastic content that you have on YouTube. It’s tremendous information! Particularly, The Wholesale Formula. Excuse the long post =) excitement takes over sometimes. I’m so glad I found you online, subscribed to your YouTube and your newsletter. Ready to learn from you too! Unfortunately I missed the course this time around. I’ll sign up when it’s next available (through you). Thanks so much for your in-depth review. I have one question. I assume you must be “Ungated” to source these products and list themm on Amazon, is that correct? If so do they provide you with a method to do so, or does ungating not apply to wholesale products? Hi Dean Reynolds, I’m sorry you had that experience. To be fair, you purchased The Wholesale Formula in June of 2016 (not through me, I checked) and (more importantly, you asked for a refund in November 5+ months later. The Wholesale Formula offers a 30-day, no questions asked 100% money back guarantee. This gives you plenty of time to see exactly what the course is, how they operate, and if you don’t like it they’ll refund you immediately. My opinion: by and large there are lots of success stories of folks who applied their formula and it worked. I personally have witnessed the founder (Dan) immediately reply on facebook to questions/challenges posed by members. To be fair, they never offered one-on-one personalized assistance in their pitch/sales material, they did offer facebook support and multiple webinars to answer/address your questions/problems. To get one-on-one support by phone is very costly and doesn’t fit the business model of providing full training at their price point. By comparison, one-on-one help from a qualified expert for the level of expertise (all of which is already found in the wholesale formula course, so all they would be doing for you is rehashing what is already in the material) can run $3500 and up. 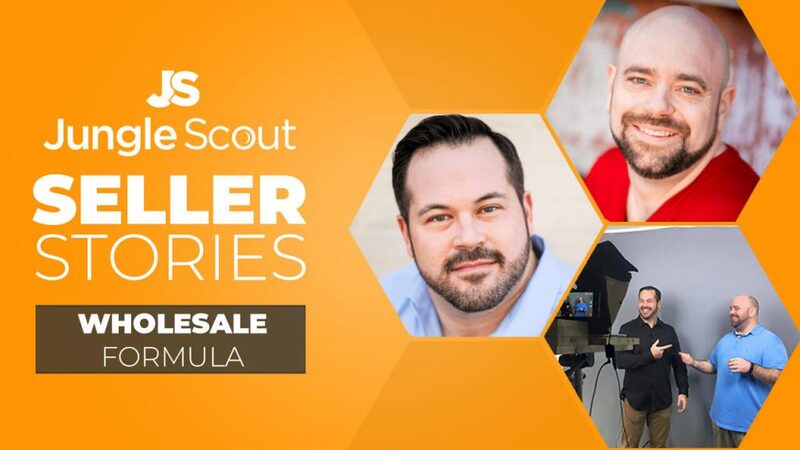 It’s a completely fair offer from trusted experts and as someone who has taken the entire course (and seen plenty of really big success stories emerge), I wholly endorse them. Jordan thanks for the reply. I agree with you and you’re correct that they did not offer any personalized assistance. I wasn’t looking for them to do it for me, just more access. Unfortunately that means more money…After researching Steve Chou’s course, Oliver Denyer, Manny Coats, Scott Voelker, and a host of others I can say that I chose poorly. I am not sure I quite understand this. We offer a 30 Day No-Questions-Asked Money Back Guarantee. We do NOT drip feed our course in any fashion. You get immediate access and get access to the ENTIRE course. There are no surprises with us. If you don’t like the course, or it doesn’t resonate with you – you can get a refund any time during our refund period. You have access to ALL of the material to reinforce your ability to make an educated decision. You can literally watch all of our material – then ask for a refund… That is how confident we are with our system. In terms of the extended access & support – we advertise that in our marketing material before you purchase the course. By all means, feel free to reach out to me via email, and we are happy to help you get on track. We have hundreds of successful students, and similarly are very successful utilizing our own model. I would love to see you as a success story as well. Dan, I did email you and even provided you with my personal cell phone number. Hi Jordan I’ve come late to the wholesale formula video. I am wondering whether this program will be available in Januray 2017 and I’m also really eager to know if the propriety softwware that’s used in this program to narrow down products is as good as Jungle Scout ? Or is the propriety software Jungle Scout itself ? tha PAC includes also Whoelsale course, isn’t it? > The PAC version has not been updated for at least several months (That is not a criticism, just a fact. The PAC version’s info covers all the basics nicely even though it has not been updated). Every time The Wholesale Formula is released (2x – 3x per year) it is updated accordingly. One last important thing: The PAC Course (always highly recommended by me) is inexpensive compared to others (like The Wholesale Formula) for a reason. With PAC, you don’t get any one-on-one or group coaching included in the price. For instance, if you want coaching in PAC, that starts at about $3500. (I’m not criticizing the coaching, just stating a fact.) The folks who balk at the price of (say) The Wholesale Formula ($1997) forget that they are getting personalized attention (“Every one of your questions will be answered.”) If you need that type of personal attention using PAC, you will (in almost all cases) have to pay for it. Still, the value of PAC is incredible because you have at your fingertips a virtual ‘Learning Library’ to all aspects of selling on Amazon and their community. But don’t expect expert-level help for anything outside their course(s) curricula without paying for it. (I must say I am impressed with the detailed and honest answer.